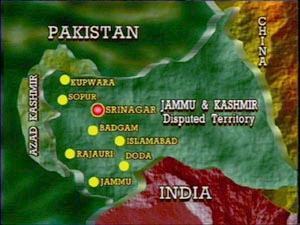 The state of Jammu and Kashmir is spread over an area of 222236 square kilometers. 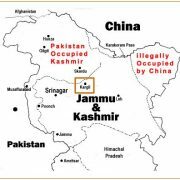 Jammu and Kashmir is bordered on the north by China, on the east by autonomous region of Tibet, on the south by the Indian states of Himachal Pradesh and Punjab, and on the west by the Pakistani city of Rawalpindi and Frontier Province, and on the north-western side by Afghanistan. 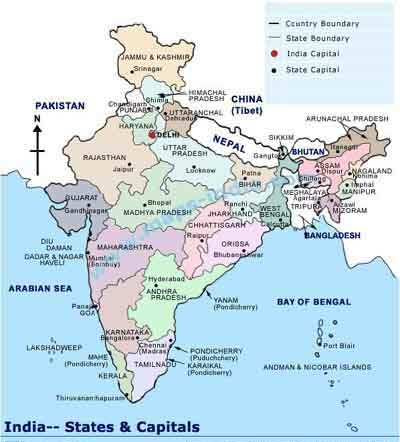 The state was bifurcated in 1947 and then again a large chunk of the land was severed during the 1965 Indo-China war. 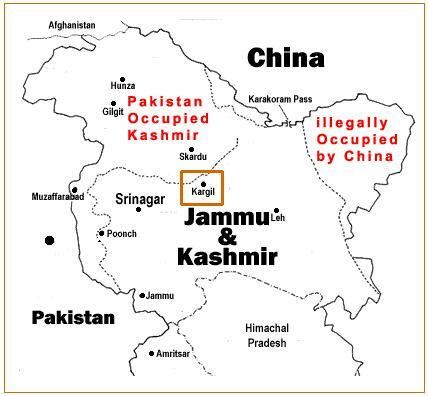 The state consists of three parts namely the Indian controlled Kashmir (IcK), Pakistan controlled Kashmir (PcK) and China controlled Kashmir (CcK). 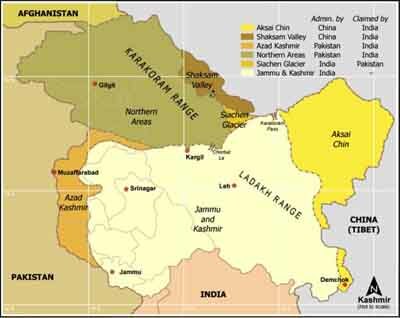 The Pakistan administration first bifurcated PcK into Azad (Free) Kashmir (AK) and Northern Areas (NA) and then again it donated a large chunk of land (Shaksgam valley, 5180 sq km) to China during its border agreement of 1963. But according to the signed document, this Sino-Pak agreement ceding a part of Kashmir is provisional and that it will be renegotiated with China after the Kashmir dispute is settled. In order of percentage, 48 per cent of the territory is occupied by India, 35 per cent is occupied by Pakistan and the remaining 17 per cent is under the control of China. 13 million (approximate) of which 10 million are in IcK and 3 million in PcK. CcK is a barren high altitude desert with an extremely small population. Currently, there are five major international versions of Kashmir maps. India considers Kashmir as its integral part. 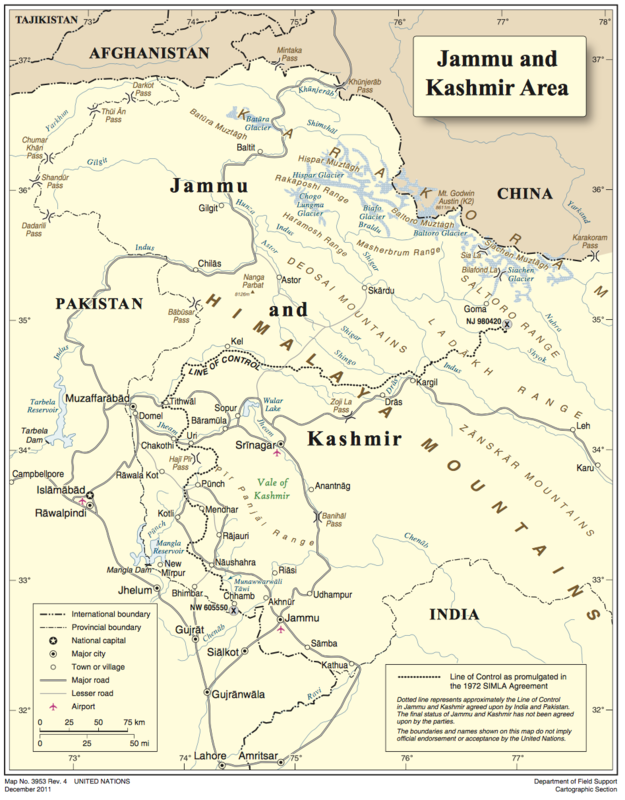 The Indian official map clearly identifies all of Kashmir (including those parts under the control of Pakistan and China) in unison with the Indian dominion. The map that is widely being circulated in the country and taught in schools does not mention any demarcation between the other two parts. 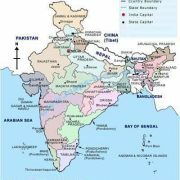 View this local version map used in India. But there is another version of the map to be shown to the international community that clearly demarcates Pakistan controlled Kashmir (PcK) and China controlled Kashmir (CcK). Pakistan considers Kashmir as a disputed territory. Because of Kashmir’s majority population, they think it should have gone into Pakistan during the division of India in 1947. 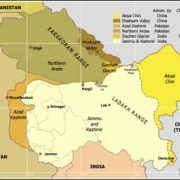 Although they have got one-third of the state but on their maps, they show Pakistan controlled Kashmir (PcK) as an integral part of Pakistan whereas the Indian Kashmir is shown as a disputed territory and the China controlled Kashmir (CcK) appears as an integral part of China. View this map at the Pakistan government’s website. 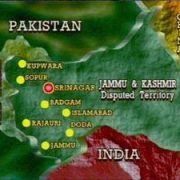 The western world fully agrees with the disputed nature of Kashmir so they usually refrain from showing the region as the dominion of any of the three countries. In order to to be neutral, the whole of Kashmir is viewed as a disputed territory. 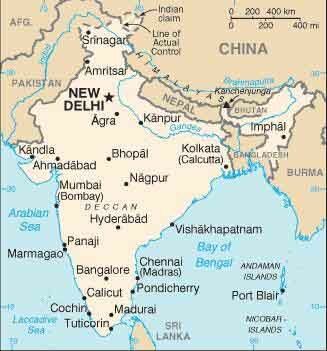 This map generally shows the word ‘disputed’ in the Indian part of Kashmir or India is shown without Jammu and Kashmir for instance on Fox News, CNN and other world media agencies. 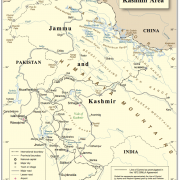 This map is one of the most circulated and widely understood maps of Kashmir in the western world. A majority of world media agencies also subscribe to this version of the map. It usually irks India, Pakistan and China equally. To view this map click here. America’s Central Intelligence Agency (CIA) has developed its own version of world facts, The World Factbook, that provides geographic, demographic and historical data about almost every country in the world. This factbook is used by about 90 percent of the agencies around the world to publish information. 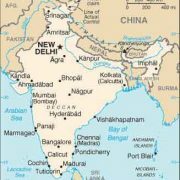 Yahoo, for instance, has the CIA’s map of India on their records which clearly shows IcK as a disputed territory and marks out CcK and PcK as well. Hindu-dominated India and Muslim-dominated Pakistan gain independence from Britain. Both lay claim to Kashmir, a majority of the Muslim Princely state is ruled by Hindu Maharajah Hari Singh. India and Pakistan go to war over Kashmir. The U.N. brokers a cease-fire, creating the Line of Control dividing Kashmir and calling for a Kashmiri referendum to decide the territory’s future. Kashmiris stage anti-India riots. Pakistan launches “Operation Grand Slam,” a full-scale military campaign to capture India-controlled Kashmir. Indian troops fight off the attack. The two countries flight a third war over India’s support of secessionists in East Pakistan, who succeed in breaking away to form Bangladesh. Revolts by Kashmiris against the Indian rule begin in Srinagar. India accuses Pakistan of arming and training the insurgents. Pakistan denies active involvement. India and Pakistan conduct nuclear tests that lead to heightened tensions. Kashmiri militants occupy a chain of peaks near Kargil. Pakistan provides logistical and artillery support and troops. After six weeks and more than 1,000 casualties, Pakistan withdraws under international pressures. Several months after a failed peace summit in Agra, two Pakistani militant groups are blamed for a deadly attack on the Indian Parliament. India demands that Pakistan hand over the organizers and close terrorist training camps. Each side masses troops at the Line of Control (LoC).